Excitement continues to build in anticipation for Canada’s recreational cannabis laws to take effect on October 17, 2018. Canada will become the second country in the world to fully legalize cannabis use and production for recreational purposes pushing cannabis companies across the G-7 nation to up the ante on all aspects of the business. It seems you cannot get through a 24-hour news cycle without a major announcement about a “game-changing” or “history-making” cannabis deal. This summer has been hot for the cannabis industry, especially in Canada. Major alcohol companies are taking notice that sales are down by 15 percent in American states where recreational use is legal. 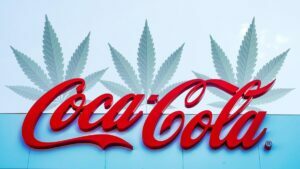 Large companies like Constellation Brands (NYSE: STZ) (STZ.B), Molson Coors Brewing Company (NYSE: TAP) (TSX: TPX), and Heineken (OTCQX: HEINY) are investing billions of dollars into cannabis companies. Industry’s summer of rapid ascent also includes cannabis producer Tilray, Inc. (NASDAQ: TLRY) valuation of over $1 billion as it became the first cannabis company to trade on the Nasdaq exchange in July. Tilray had and continues to have stock analyst predicting the dreaded investment bubble even as the company continues to see gains. Investors are anticipating the continuation of the cannabis industry’s glorious summer into the fall months and in preparation for the emerging adult use market. 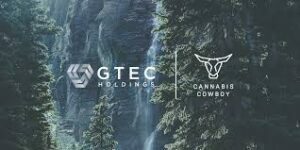 GTEC Holdings Ltd. (TSXV: GTEC) (OTC Pink: GGTTF) has made deals and received license expansions that positions them to be competitive in the Canadian and international cannabis markets. On August 27, 2018, GTEC announced that they had entered into a supply agreement with Namaste Technologies Inc (TSXV: N) (OTCQB: NXTTF). As part of the terms of the agreement Namaste’s wholly owned subsidiary, CannMart, Inc. will purchase cannabis flower and oil to sell on their e-commerce site. The addition of the e-commerce site helps GTEC diversify their partnership portfolio and is part of the company’s long-term strategy to expand patient and cannabis consumer reach. Norton Singhavon, Chairman and CEO of GTEC, expressed his excitement about the deal in a statement released by the company. The supply agreement was announced prior to the investigation into Namaste by Quebec’s Minister of Health because of medical patient recruitment techniques the company allegedly employed during a party in the province. While this news was the catalyst for the cannabis industry darling, Tilray, to sever ties with the cannabis technology company, Namaste continues to press on. Since the Tilray news broke the company announced they have acquired Access Fulfillment a UK-based pharmaceutical distribution company that will operate distribution for Namaste’s cannabis and hemp products. Namaste’s Access Fulfillment acquisition to help GTEC enter the medical cannabis market in the UK. We will have to keep an eye on this one. GTEC is also looking to expand its retail footprint. On August 30, 2018, the company announced that they had received a loan facility for up to $2 million from Invictus MD Strategies Corp. (TSXV: GENE) (OTCQX: IVITF). According to a statement by the company, GTEC is planning to use the proceeds to focus on retail expansion in Western Canada and Ontario. This includes at least 15 Cannabis Cowboys cannabis stores in Alberta and one in Saskatchewan to service the recreational cannabis market. The terms of the loan include a prime plus 5 percent interest rate. Any time up to one business day prior to the Maturity Date, the principal and accrued interest of the loan can be converted into common shares of GTEC at a price of $1.50 per share. The loan facility could increase to $6 million through a mutual agreement between Invictus and GTEC. The terms of the deal also give Invictus first right of refusal up to 30% of any cannabis orders placed by GTEC. In addition to its partnership with Invictus, GTEC is preparing internally to expand cannabis products. The company announced on September 7, 2018, that their wholly owned subsidiary, Zen Labs received approval from Health Canada for cannabis oil extraction under its expanded scope dealer’s license. Cannabis oil production gives the company an opportunity to enter the world of cannabis-infused products, which appears to have a bright future in the industry. According to HTF Market Intelligence, the cannabis edible market is projected to increase at a compound annual growth rate (CAGR) of more than 25% between 2018 and 2022 which may be driving major beverage and alcohol companies to partner with cannabis companies. Initially, the Zen Labs dealer’s license was only for laboratory work for the industry. Even with the added oil extraction feature to the license, the company plans to continue to function as a laboratory, performing to tests on cannabis, soil, and water for contaminates outlined by Health Canada’s ACMPR. Overall, there is no doubt that we a living through one of the most historically significant legalizations since the end of the U.S. alcohol prohibition. With all the anticipation and excitement surrounding the legal cannabis industry, GTEC Holdings is quietly positioning to be a formidable player in the global legal marijuana market. 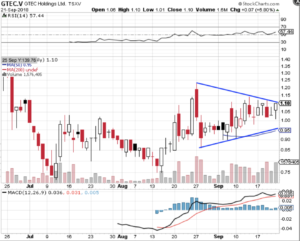 The post Momentum Building For GTEC Holdings, Ltd. (TSXV: GTEC) (OTC Pink: GGTTF) As Company Prepares Massive Cannabis Retail Footprint For October 17th Legalization Day appeared first on Spotlight Growth.